African tech in 2017 was about the normalization of market events mostly absent even a decade ago. There were acquisitions, multiple investment rounds, lots of expansion, big strategic partnerships and some surprise failures. Africa is fast becoming home to a dynamic tech sector. Here’s a snapshot of the news that shaped that transition over the last year. Andela’s $40 million VC raise in October was one of the continent’s most notable. The technology training and job placement firm received Series C funding from CRE Venture Capital, DBL Partners, the Chan Zuckerberg Initiative and Salesforce Ventures, among others. Andela said it would use the funds for continued expansion. The coding accelerator marked three years in May by adding a Uganda office to locations in New York, Nigeria and Kenya. New investment also helped moved Africa’s startup boom into the used autos space. In May, Nigeria-based Cars45.com raised a $5 million Series A round from the Frontier Cars Group to better connect used-car sellers to digital price quotes, first-time online service histories and offers. 2017 fintech funding went to Nigerian startups Flutterwave ($10 million) and Lidya ($1.25 million). In digital solar, Kenya’s PayGo Energy raised $1.4 million. Agtech startup Farmcrowdy received $1 million from investors including Techstars Ventures and Cox Enterprises to bring Nigerian farmers online. In April, South African media and technology giant Naspers made a $70 million (majority stake) investment in Cape Town-based e-commerce company Takealot. South African digital cleaning startup Sweep South concluded a Series A Round backed by, among others, DJ Black Coffee. Several new African tech funding initiatives emerged in 2017. GSMA’s Ecosystem Accelerator Innovation Fund made seven of its first nine global investments in African startups. Lagos, London and Nairobi-based TLcom Capital raised $40 million for its new growth-stage Tide Africa Fund. In April, The World Bank launched its XL Africa accelerator to support Sub-Saharan African startups with business mentoring and up to $1.5 million in early-stage capital. In October, U.S.-based private equity firm TPG Growth raised $2 billion for The Rise Fund, founded by TPG CEO Bill McGlashan with Bono’s support. In perhaps a sign of things to come, Africa also registered some significant outward tech investment. In September, Naspers added $795 million to its holdings in Berlin-based food delivery company Delivery Hero. African tech saw a number new products and platforms launch in 2017. In January, MasterCard’s 2Kuze — an agtech app connecting small-plot farmers to markets, payments and logistics services — went live in Kenya, Uganda and Tanzania. Africa’s first unicorn, e-commerce venture Jumia, introduced an SME lending program. Safaricom ― Kenya’s largest telecom and M-Pesa mobile money provider ― went live with its Masoko e-commerce platform in November. 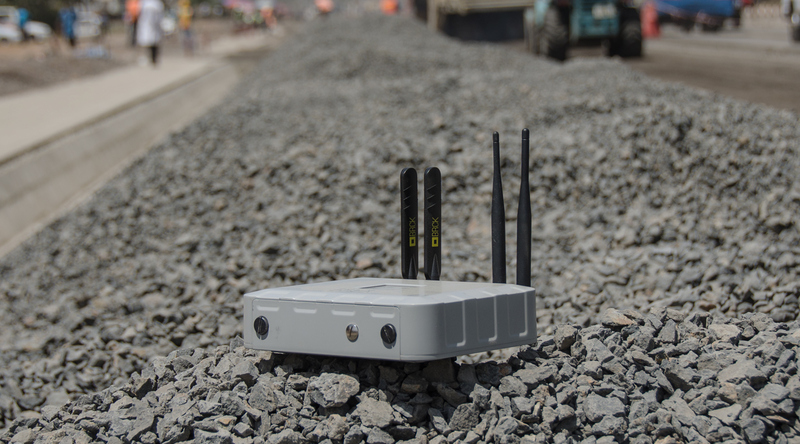 Earlier in March, Kenyan communications hardware company BRCK unveiled its SupaBRCK — a waterproof, solar-powered Wi-Fi box that operates as a 3G hotspot and off-grid server. Africa also registered on the blockchain bandwagon. Earlier this month, 500 Startups-backed SureRemit launched a crypto token product aimed at disrupting Africa’s multi-billion-dollar remittance market. On expansion and partnerships, Facebook was very active on the continent in 2017. FB announced its Africa Bots for Messenger Challenge in February, detailed plans to boost free Wi-Fi on the continent in April and teamed up with MainOne and Tizeti Network to improve Nigeria’s net connectivity in November. 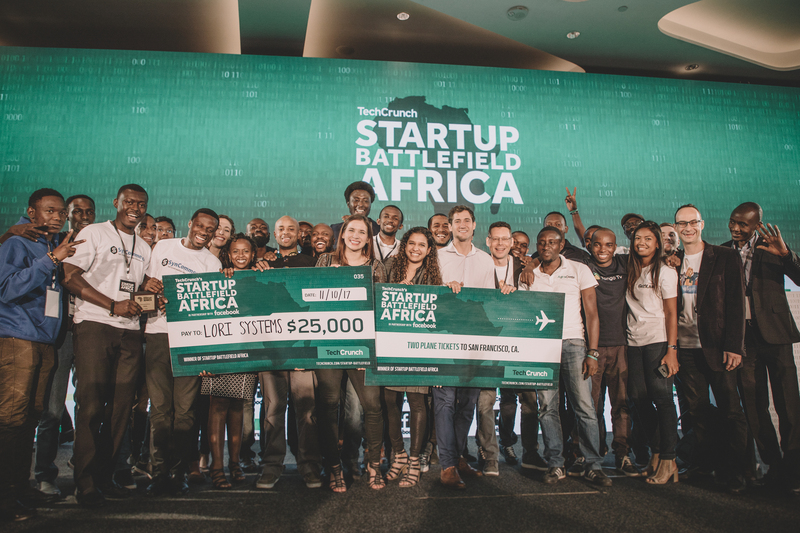 The company partnered with TechCrunch in October for the debut Startup Battlefield Africa and with CcHub to launch Nigeria’s NG_Hub accelerator. Other big Silicon Valley names also registered in Africa in 2017. Microsoft announced the opening of Cloud Form data centers in May and a partnership with Liquid Telecom in August to accelerate cloud adoption in Africa. Off of CEO Sundar Pichai’s July Nigeria trip, Google announced plans to train 10 million Africans in digital skills, increase funding to African startups and provide $20 million in grants to digital non-profits and modified versions of products (such as YouTube) in Africa. Google for Entrepreneurs also supported CcHub’s European PitchDrive tour in August. The same month, eBay expanded its partnership with MallforAfrica.com to allow African vendors to sell wares directly to American online consumers. On accelerators and capacity building, 500 Startups brought its frontier and emerging markets travel series ― Geeks on a Plane ― to Africa for the first time in March. Airbus held its inaugural BizLab pitch event in Nairobi targeting African startups using UAVs, 3D printing, smart sensors and IoT. The MEST incubator got a new CEO, Aaron Fu, and scaled its presence to include programs in Ghana, Nigeria, Kenya, South Africa and Cote d’Ivoire. And in October, Safaricom launched its Safaricom Alpha innovation center in Nairobi, with a goal of leveraging the company’s commercial social network (i.e. M-Pesa) to connect people to new product solutions. Of course, no tech sector expands and grows all the time. In September, Y Combinator-backed French language VOD startup Afrostream shuttered, ending subscription services in 29 countries. In November, Jumia e-commerce competitor Konga slashed 60 percent of its workforce and ended its pay on delivery service, reportedly to cut costs. It’s not clear if this is a sign of trouble or a realignment of business strategy, per Konga founder Sim Shagaya’s Medium post. Exits and public offerings are still scant in Africa’s tech landscape. There was a notable acquisition in online real estate startup ToLet.com.ng’s purchase of Jumia House Nigeria from e-commerce unicorn Jumia in November. Africa’s much anticipated and much delayed IPO of fintech firm Interswitch is expected in 2019, according to Nigerian tech insiders — who offered TechCrunch perspective on other African ventures with listing potential. African tech and politics collided on several occasions in 2017. In September, anti-government protests in Togo, and the use of social media to mobilize them, led to the president shutting down the internet for several days. 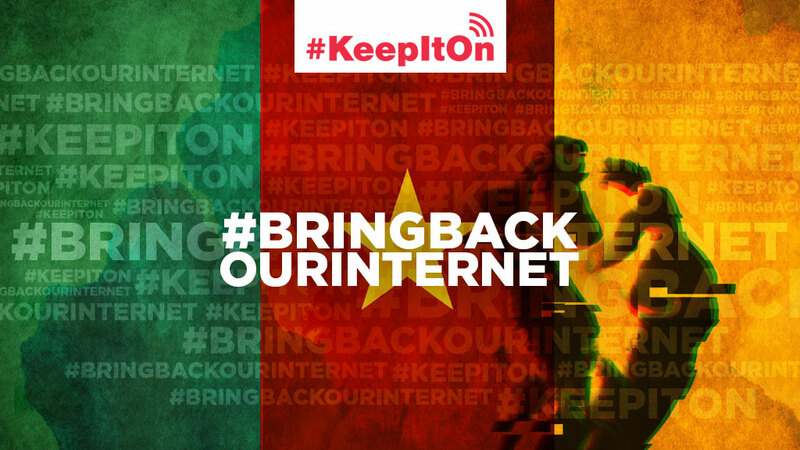 In a tech to power success story, Cameroon’s #BringBackOurInternet movement — developed by local IT activists — went global, forcing the country’s government to restore connectivity after switching it off in response to demonstrations that started in January. Big revenue news from African tech startups is still elusive, but Paga offered promising info in August. The Nigerian digital payments firm reported its first EBITDA positive quarter, after processing 31 million transactions worth some $1.3 billion since inception. And in July, teams from Nigeria and Ghana launched satellites into space, with a little help from SpaceX and NASA — demonstrating the sky was not the limit for Africa’s scientists and techies in 2017.